According to a new study, levels of Vitamin D affect the survival chances of breast cancer patients. Researchers examined data from around 1700 breast cancer patients in California and found that higher levels of vitamin D improved the chances of survival of patients. This held true, especially in case of premenopausal women. 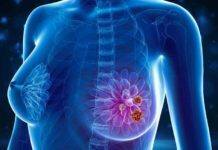 Patients with cancer in its advanced stage had lower levels of vitamin D. Premenopausal women, who had triple negative cancer had the lowest levels of vitamin D.
According to their findings, there is an inverse association between levels of vitamin D and progression of breast cancer and subsequent death. Published in the journal JAMA Oncology, the study was conducted by Song Yao, an associate oncology professor at Roswell Park Cancer, N.Y., and his colleagues.